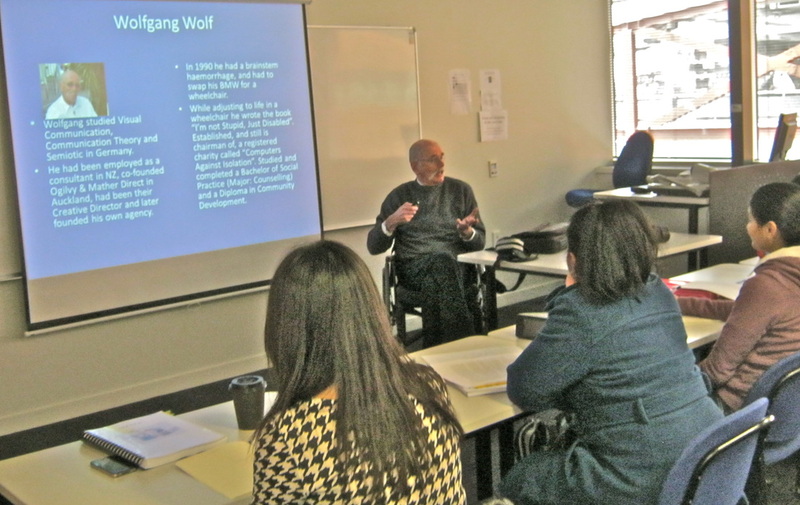 Whether he talks to small clubs, large organisations, or at professional conferences, Wolfgang Wolf makes audiences feel comfortable around him. 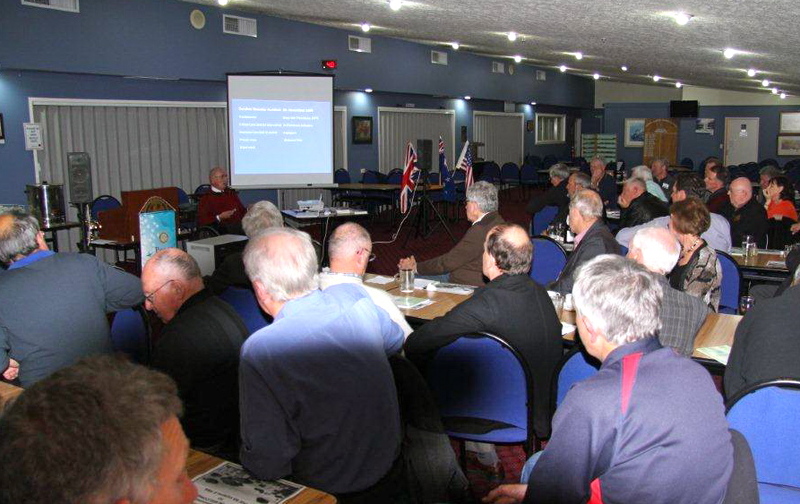 After-Dinner speech at the Rotary Club of Whangaparoa. Guest lecture at Unitec, Auckland. Several times each year he talks to Bachelor of Nursing students. All of his presentations are either on advertising (Not-for-Profit related), communication theory, direct-marketing, or, what some people may find a strange combination, social science. But that's what affected his life. Of course he also talks about stroke (CVA). As his stroke affected his life in a major way. 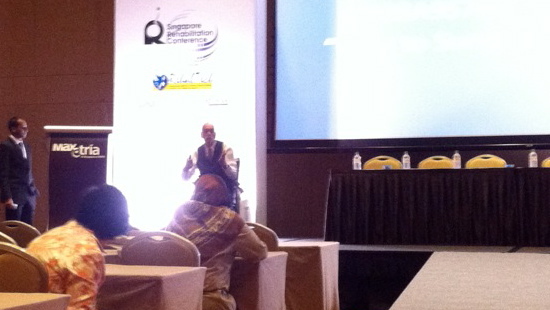 Whoever the audience, Wolfgang Wolf fine-tunes his presentations to meet their speaking requirements. Wolfgang presents only on subjects he studied, or experienced first hand. All presentations are on PowerPoint, and alternatively can be given in German language. The length of the presentations is 10, 20, or 30 minutes. Guest lectures last a minimum of 50 minutes. ARNA conference in Hobart, Tasmania. "Reap What You Sow". The importance of Corporate Social Responsibility (CSR) in a company’s marketing mix. Computers Against Isolation. Past, Present, and Future of a Charity (a case study). Welcome to my World. Stroke - causes, consequences and obstacles. “Very interesting first-hand insight into the world of strokes. Invaluable information that has extended my personal understanding and will influence my nursing care in the future. Whilst Wolfgang provided examples from his own experience, he also had extensive academic knowledge about strokes, which will help as far as the theory side of this course is concerned”. Bachelor of Nursing student. I’m not stupid, just disabled. Based on a book Wolfgang wrote. All people are equal – but some are more equal. How society sees disabled people – how disabled people see society. I used to drive a BMW, now I get around in a wheelchair. How to plan for voluntary change and cope with involuntary change. Say it with flowers, or whatever. Apart from the presentations Wolfgang facilitates staff awareness sessions. As you can see from the topics, the presentations are not only suitable for medical conferences, nurses’ education/tertiary institutions, the health care sector, but also private companies (change management, CSR as part of your marketing mix, how to improve your communication), and Not-for-Profit organisations. Having spent the first six years of his life at the bottom of the social ladder, growing up in the refugee camp Stammheim near Stuttgart, Wolfgang left school at 15. After lots of door knocking he got an apprenticeship as a photo lithographer, which he completed in only two years and two months. He was in a hurry, wanting to work in advertising. But first he went to the Academy of Fine Arts Stuttgart and moved North later. Having studied Visual Communication, Semiotic and Communication Theory in Stuttgart and Wuppertal Wolfgang went on to work in Advertising and Direct Marketing (first as graphic designer, later a copywriter). Soon he freelanced for some big companies and advertising agencies. But Germany got a bit crowded. And, after all, there was a whole world out there. In 1980 he emigrated to New Zealand, travelled the country, photographed a lot, co-founded Ogilvy & Mather Direct, and was their Creative Director. He worked half a year in Los Angeles, USA, amongst others, for Y&R, and founded his own agency in Auckland, New Zealand, in 1985. He also did teach the certificate course in Direct Marketing. and feel sorry for himself, but went on to orchestrate this change to his new life, and take control of it. While he recovered and adjusted to life in a wheelchair he wrote the book "I’m not stupid, just disabled", which is out of print now, but a revised, version based on it is available on Amazon (read a free sample chapter, or download a free reading app for your computer, tablet, or smart phone). After this he studied and completed a Bachelor of Social Practice (Major: Counselling) and a Diploma in Community Development. While studying he founded, and still chairs, “Computers Against Isolation”, a registered charity which provides people who live with disabilities with computers. Today, as the Stroke Mentor, he coaches couples, where one partner has a disability, to help them to adjust to their new life. He has been a New Zealand citizen since1983 and a member of Lions International since 2011. To book Wolfgang Wolf for your next event or after-dinner talk please e-mail him by clicking here. 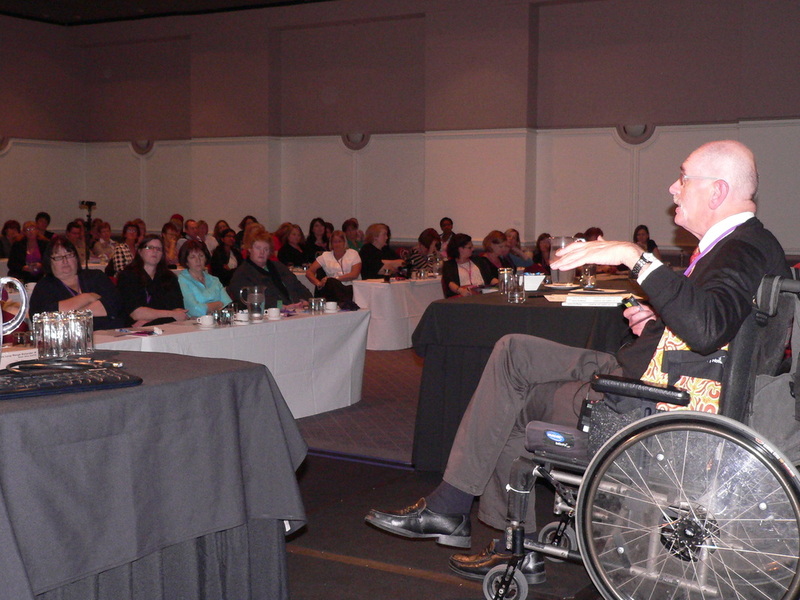 He also is represented by Captive Audience, and SpeakerLink in NZ, and Claxton Speakers in Australia. Several times each year he talks pro bono to some community groups and clubs.